The new generation of 3M™ Protecta® Fall Arrest Harnesses. 3M Protecta Fall Arrest Harnesses provide reliable protection, comfort and convenience; now with upgraded features and a sleek, modern look – all at an affordable price. 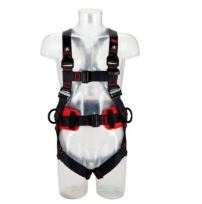 Available in a variety of styles and configurations, these new harnesses have enhanced features including water and stain resistant webbing, auto-resetting lanyard keepers as well as softer and more durable hip padding on 3M Protecta Comfort Belt Style versions. Get a sleek, modern look at an affordable price.